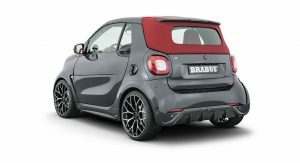 Brabus Ultimate E Shadow Edition Is A €64,900 Smart ForTwo EQ! 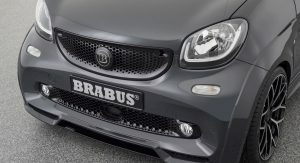 With the unveiling of the Ultimate E Shadow Edition, Brabus has stepped up its game once more. 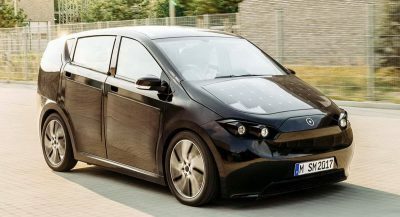 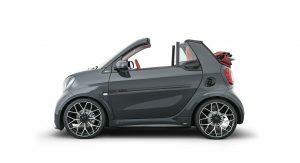 The car is based on the electric Smart ForTwo EQ Cabrio and has more power and other upgrades. 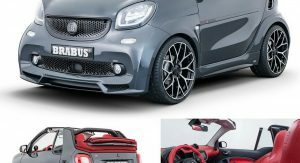 Limited to 28 units, it has a starting price of €64,900 (equal to $73,870) in Germany, tax included, and wants to attract buyers with its tuned electric motor and more aggressive looks. 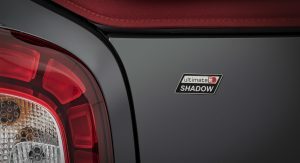 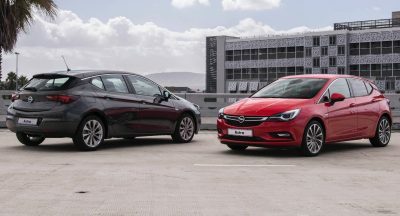 The unit puts out 92 PS (91 hp / 68 kW) and 180 Nm (133 lb-ft) of torque, a 10 PS (10 hp / 7 kW) and 20 Nm (15 lb-ft) increase over the stock model. 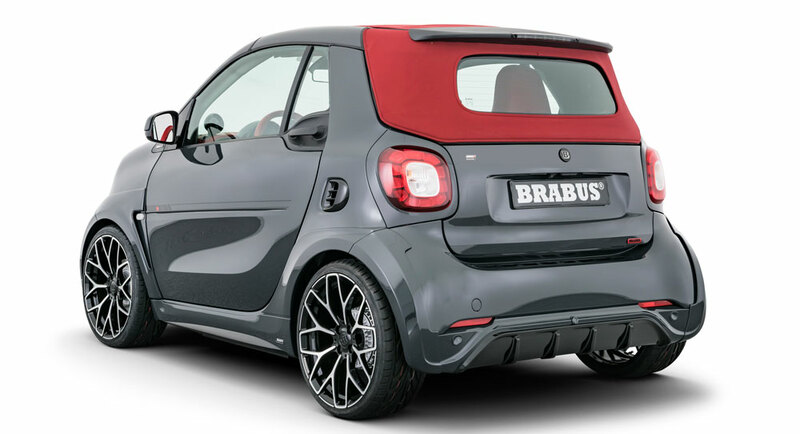 Brabus claims a 0-100 km/h (0-62 mph) acceleration of 10.9 seconds and a top speed that remains limited to 130 km/h (81 mph). 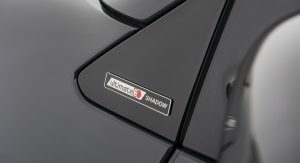 Users have four driving modes to choose from, with maximum output available in ‘Sport+’. 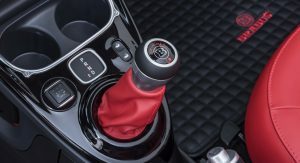 Whenever they don’t need the extra oomph, drivers can select ‘Eco’ and enjoy up to 125 km (78 miles) of range. 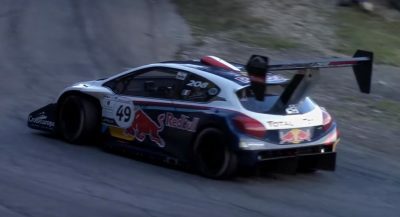 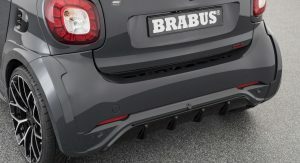 The wider fenders, front spoiler, rear diffuser and rocker panels, which were developed in the wind tunnel in order to maximize aero efficiency. 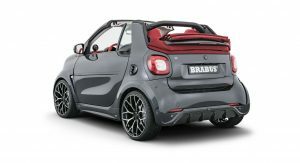 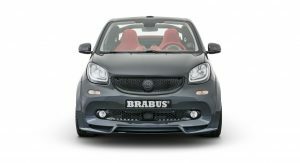 The gunmetal grey finish mimics the look of the Brabus 500 Shadow OPS Limited Edition compact boat unveiled earlier this year, and the tuned ForTwo EQ Cabrio rides on 18-inch wheels, which are be fitted with 205/35 front and 235/30 rear tires. 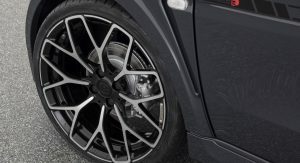 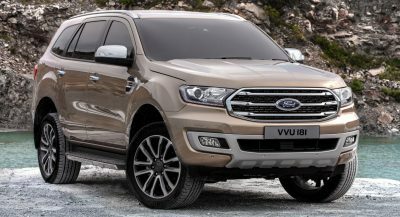 Moreover, the suspension has been calibrated to the new weight, wider track and low-profile tires to combine sporty and safe handling with the desired ride quality. 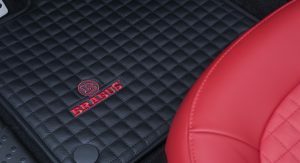 Brabus fine leather adorns the cabin in the same red shade as the one used on the seats and lounger area of the boat. 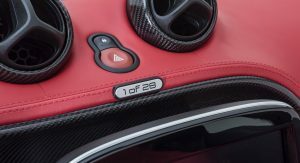 Carbon fiber and aluminum trim, tailor-made scuff plates with the company’s backlit logo, ‘1 of 28’ badge on the dashboard and new floor mats are also found inside. The equipment list includes features such as climate control, a navigation system and audio. 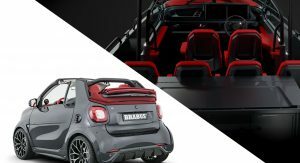 The Ultimate E Shadow Edition will be displayed at the 2019 Geneva Motor Show alongside the new Mercedes-Maybach S650-based Brabus 900. 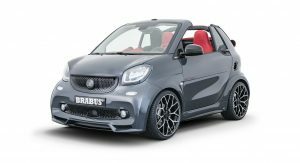 Are there 28 trophy wives on the planet who’d want this over a proper Mercedes car like the CLS, E-Class Cabriolet or the GLC Coupe? 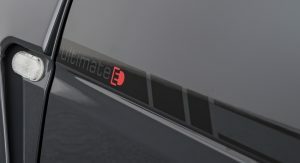 I wish there is a way to give your comment more likes and upvotes. 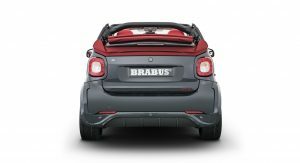 I’m not sure who the demographic is for this car considering they have to shell out $74,000 for the privilege of ownership. 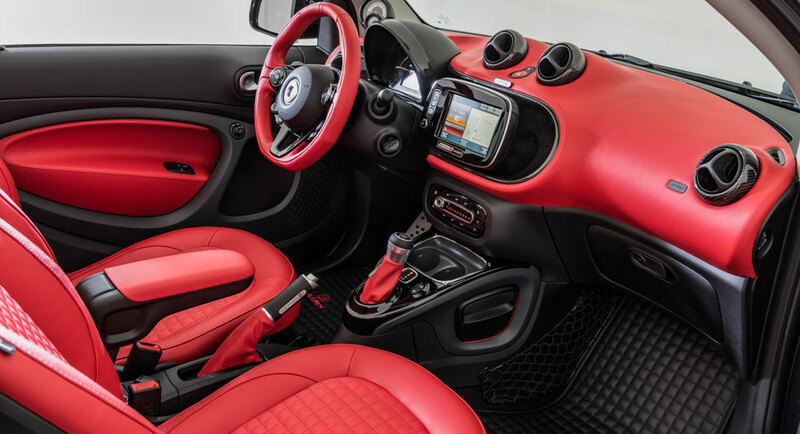 Why not just buy a Fiat 500 Abarth for 1/3 the price, around $24,000. 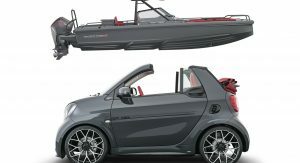 For the true rich people.